It is common practice for family law attorneys to charge for consultations because most of us bill by the hour, and our time is what we “sell.” As such, the cost for consultations can vary since attorneys often base consultation fees on their hourly rate. Why Should I Consult with a Raleigh Divorce Lawyer? 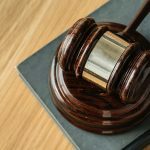 The consultation is important because it gives you time to speak with an attorney directly about your unique situation and what options you have under North Carolina law. Although the internet contains a lot of material about North Carolina Family Law, this information is not tailored to your specific situation. Family law clients are each unique in regard to their personalities and the problems involved. 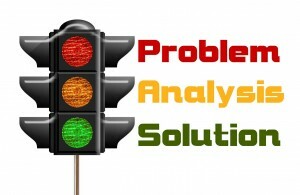 As such, you need solutions suited to your specific needs. Have I Wasted My Money on the Consultation if I Can’t Hire the Law Firm? No, and here’s why: during consultations, we make an effort not only give legal advice, but also to discuss various options that would make representation more affordable. We may even suggest other agencies or attorneys who may be able to assist you. Our firm has a significant amount of contacts and resources in Wake, Johnston, and Franklin Counties, and we can direct you to someone that may be able to help you regardless of whether you decide to hire our firm. When you come into the office for a consult, we appreciate that you have taken the time to meet with us and paid for that time. 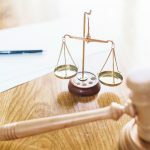 Accordingly, regardless of whether you choose to hire the firm to represent you, we make an effort to provide you with the most information possible regarding your situation and to ensure that you are aware of your rights under North Carolina law. We will also let you know where you can seek legal assistance or other types of assistance based on your specific needs. Call our office at (919) 301-8843 today to set up a consultation with one of our knowledgeable family law attorneys and get the information that you need.